Witness some of New Zealand’s most spectacular views the easy—and exclusive—way, on a sunrise helicopter tour. 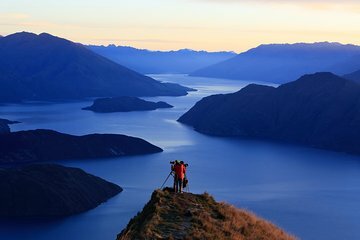 Coromandel Peak overlooks Lake Wanaka, and is a great spot to take photographs, especially in the early morning light. Experience an exhilarating helicopter ride and benefit from the awesome mountain views without needing to hike to get them.